Here's a few more bits I got started on during the Christmas break. 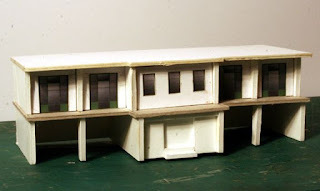 First is a foamcore building which is loosely based on the garage in Jadotville (as in the film Siege of Jadotville). If you haven't already seen it then I would recommend it. There is still quite a bit to do but as I'm back at work now it might take a while to finish. 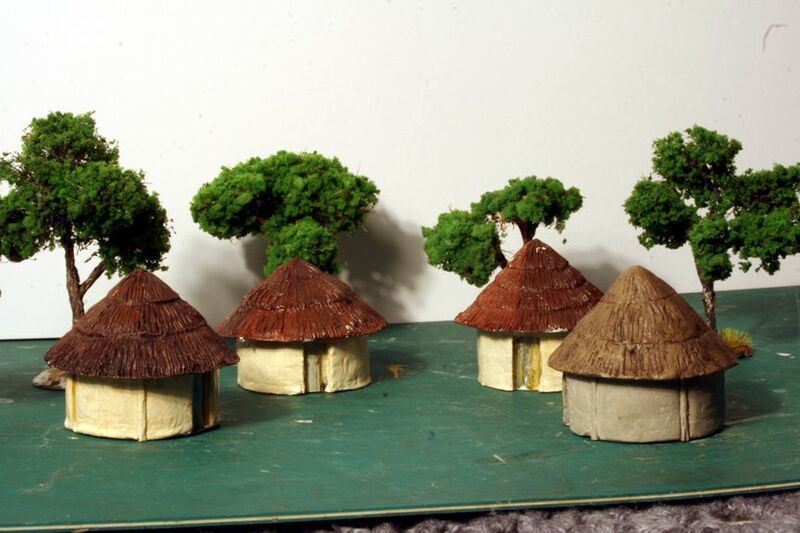 I'm also trying to make a small village of 5 or 6 huts. I made the first one a few months ago now but managed to get a few more bits done. Again, these need finishing. The main body of the hut is made from 40mm polypipe covered with modelling clay while the roof is just a cone of paper covered covered in clay then scribed to give it a thatched look. 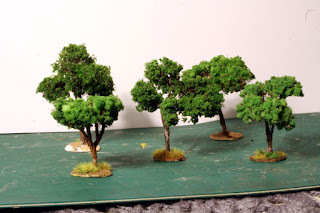 One thing I will need plenty of is trees and I want to make these as cheaply as possible so I've made these using twisted wire covered with hot glue. The foliage is horse hair covered with ground up foam painted green. 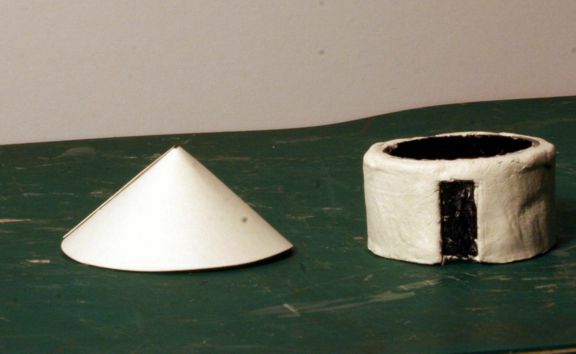 The foam is old sponges put through an old blender with a drop of acrylic paint chucked in. Lastly here's a picture of some Panhard armoured cars, 2x 90mm and 1x 60mm. These are from Peter Pig and I have had them for a while but have cleaned them up a bit and will repaint them soon. I want to add a Ferret to these sometime soon which will probably come from QRF. Over the last week I've been painting a few figures in the evenings while at work so hopefully will have some photos of those soon. 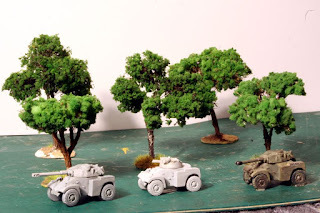 Its a short weekend for me this week as I have to leave again tomorrow so have no time to do any modelling, but hopefully next week I can start finishing some of this stuff off.